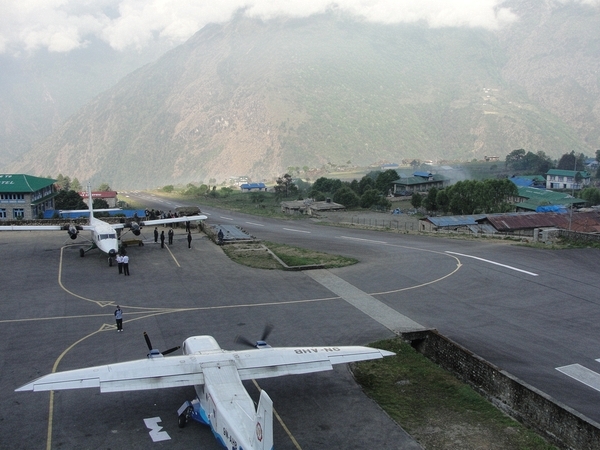 My hands were clutching the shaky armrest of the small Twin Otter as it danced around the hills of the Kathmandu Valley. Twenty minutes into the white knuckle ride from Kathmandu to Lukla, and the plane was flying so low on the hillside terraces that we could make out the individual farms and homes as pilots just barely cleared the rooftops. The cloud cover wasn’t thick, and looking up ahead I could faintly see the airstrip, famously precariously perched on the edge of a 3,000 ft cliff. As the small twin-engine plane cleared the last hilltop, I noticed we were still too high to make a conventional landing. With the runway in view, the pilots pushed the nose forward and the plane nosedived near vertically towards the valley floor. 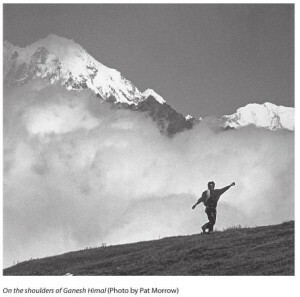 My head pressed into the headrest in front of me, I kept my eyes tightly shut as it felt like an eternity for the plane to pull out, level, and touch down on Lukla’s uphill running tarmac head on. After pulling into its parking space at the top of the hill I quickly collected my pack and met my guide and travelling companion Ram Krishna. Our trek to Everest Base Camp started here: The small town of Lukla. A ramshackle collection of lodges, pubs, and trekking outfitter stores built around the terrifying airport on the edge of the cliff. Because of it’s unique hillside construction, the runway runs uphill ending in a wall at the edge of the airstrip. There are no turnarounds here. Pilots have one chance to get it right. 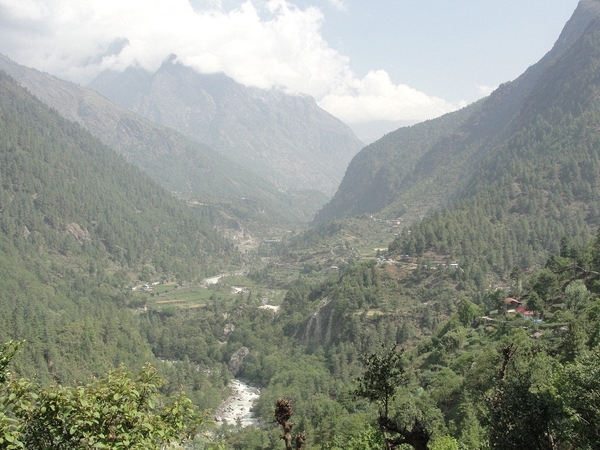 The first leg of our trip would be a short three hour hike from the town of Lukla to the village of Phakding. 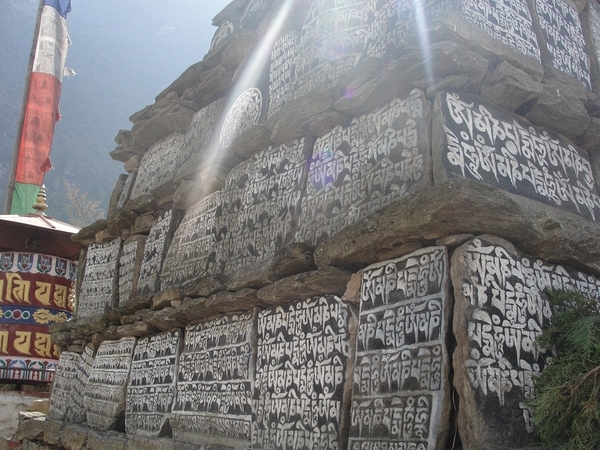 Entering the Khumbu, I was barraged with spiritual imagery as soon as I left the village. 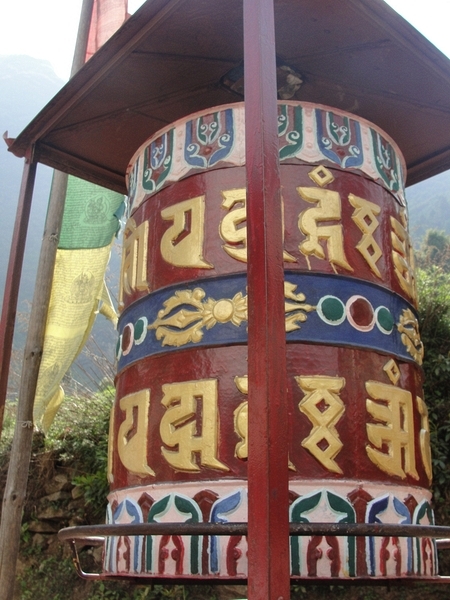 Passing under the gateway to the Everest region, my guide and I spun prayer wheels with our right hand, offering prayers and good fortune for the next ten days. As we crossed wooden bridges traversing small streams, we passed by colorful Mani stones, inscribed with phrases and mantras meant to keep the fellow traveler safe. I settled into the small teahouse lodge in Phakding and wandered through the small wooden buildings set along the raging Dudh Kosi River. As an afternoon hike to better train my legs for the coming days, I trekked uphill, to reach two gorgeous monasteries tucked between the lush forests. With their distinct red and yellow outlines, I was able to catch a glimpse between the clouds of the white Himalayan giants in the far distance. As I listened to the gongs that signaled the afternoon prayers, a small dog came up and sat alongside me. The monks like to joke that the animals of the monastery are the reincarnation of their non-studious colleagues. As the sun set over the hillside, I got to hear a sort of monastical “band practice” as horns, cymbals, gongs, and chanting filled the breezy evening air. One of the joys of the trek is the breadth of travelers in the lodges; and the lack of electricity or modern conveniences make for an interesting social hall between trekkers, climbers, and travelers alike. Over bowls of thukpa, thick Tibetan noodle stew, we sat around the wooden tables sharing stories, experiences, jokes, and song. Later in the night the atmosphere was augmented with shots of raksi rice wine, and large tubs of chang, fermented beer made of barley. As the crowd died down, we made our way back to bed for the toughest part of the hike: the trek to Namche Bazaar. Leaving from Phakding, we started up towards the main Sherpa hub of Namche Bazaar. 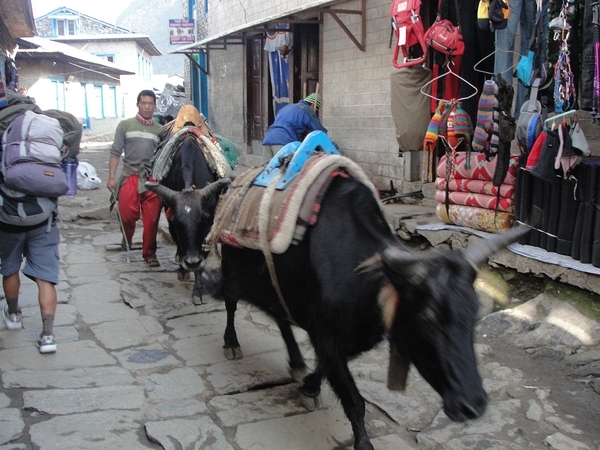 Namche is the economic heart of the Khumbu, and the main trading post as well as last glimpse of civilization for the trekkers. 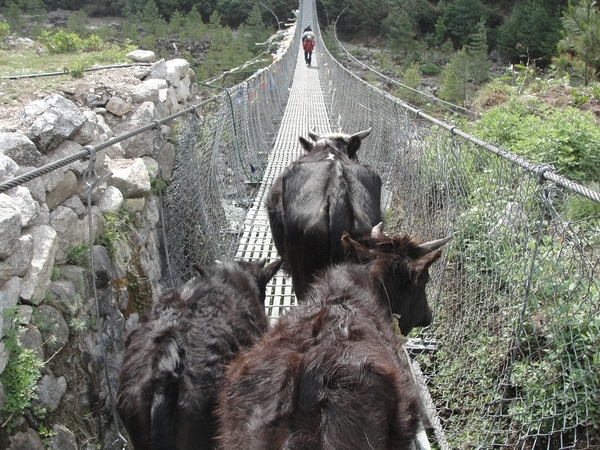 We set off around 7 A.M. and followed the Dudh Kosi across several suspension bridges, each creakier and higher than the last. We passed through the checkpoint to Sagarmatha National Park, obtaining our trekking permits and checking in with local officials, before enjoying a relaxed lunch of noodles and rice in Jorsale. 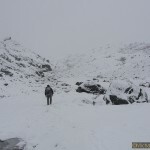 Following lunch, my guide and I began the long four hour uphill hike towards Namche. The uphill portion passes through a hillside forest lined with a series of uneven stone steps. Eating a Snickers bar for energy did wonders, but the hike up proved to be much more intense than anticipated. It was a relief in the late afternoon when we arrived in town and settled in our lodge. 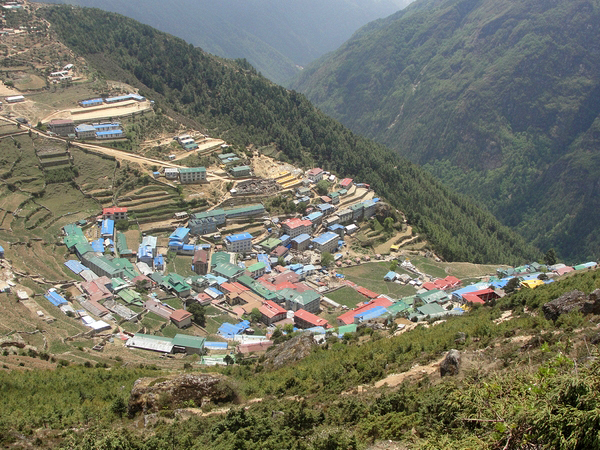 Namche Bazar is built in a series of concentric rings lined with buildings all leading downhill. The town is a welcome stop for weary trekkers as it boasts bars, pool halls, and bakeries. 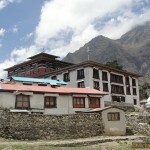 We would be here two nights to allow for acclimatization of Namche’s 11,000 ft altitude. I strolled through the stone streets with vendors at every block hawking maps and trekking gear, as well as porters, and guides. I slipped into one of the bakeries and enjoyed a hot apple pie and hot chocolate as I had a discussion with a climber from Poland and a trekker from the Czech Republic. That night we went down to one of the pool halls and played a match with the climbers and my guide. I readily blamed my lack of ability on “the altitude”. Waking up the next morning, the clouds and fog had cleared up leaving me with the breathtaking face of Kongde Ri filling up the vista from the lodge. For breakfast we ate Tsampa, a Sherpa staple consisting of roasted barley flour, having the taste of a bitter cream of wheat, and the consistency of sandpaper. Supposedly this was excellent energy food so I took as much as I could. My guide and I would take a short trek to the Everest View Hotel, just above Namche, whose vista promised a view of the Himalayan sisters. After following a narrow path along the hillside, we crossed the airfield of Syangboche and arrived at the hotel, recognized by the Guinness Book of Records as the world’s highest luxury hotel. This posh hotel, rather uncharacteristic for the area, had a back patio where we could look upon some of the highest peaks on Earth, which unfortunately were under heavy cloud cover. Although Everest was shrouded, the smaller peak of Ama Dablam played a burlesque-like tease under the clouds, and staring at her emerald slopes, twin peaks, and a hanging glacier like a necklace under her summit, it had instantly become my favorite. 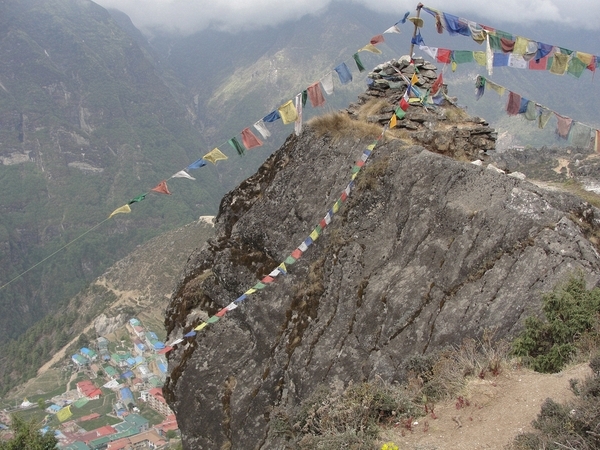 As we came down from Everest View, we took a shortcut through the towns of Khunde and Khunjung. These towns are famous for having been the blueprint for Edmund Hillary’s philanthropic work in which he established a school, a hospital, and an airfield following his first summit of Everest. The rest of the afternoon was spent reading, writing, staring at Kongde Ri and several more games of pool. 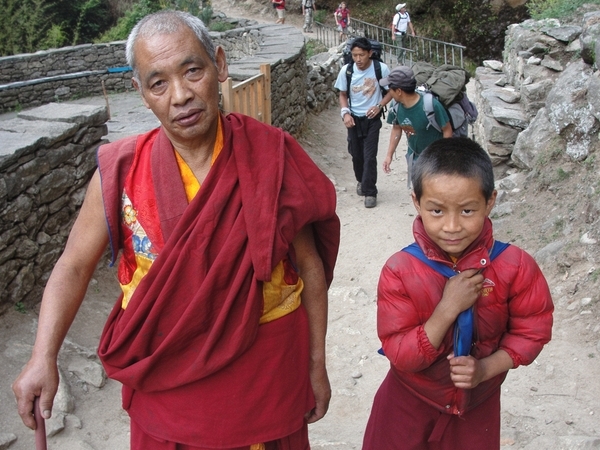 The next day we would be heading for the main monastery of Tengboche and leaving the familiar behind.